High-end sales at the Sunshine Coast are on the rise with more than $64 million spent on luxury homes since 2014. Sekisui House’s development - The Coolum Residences, highlighted as the top locations attracting high-end buyers. Sekisui House Senior Development Manager Evan Aldridge said the volume of high-end sales signalled a return of luxury home buyers to the Sunshine Coast’s property market. “2014 has proven to be a bumper year for the region, demonstrating the fact that buyer confidence – in particular at the top end of the market - is returning,” Mr Aldridge said. 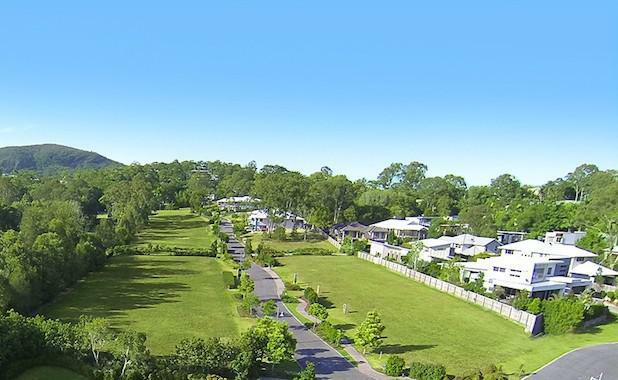 “Interestingly the report’s figures show that while Noosa Heads is still attracting the majority of top-end buyers, Coolum, Noosaville and Sunrise Beach are emerging as the new luxury precincts on the Sunshine Coast. “The Coolum Residences has experienced a number of million dollar sales this year associated with its luxury home line, The SHAWOOD, with the most recent sale achieving $1.6 million. The increase in high-end sales, is also filtering down to the remainder of the market, with the region’s current median house price sitting at $550,000. “Figures show that over the last 12 months, the median price growth for Sunshine Coast homes has increased significantly to 5.8 per cent from the previous five and ten year growth rates which were only 1.6 and 1.7 percent per annum respectively. “In the six month period ending March 2014, 495 homes have been sold in the Sunshine Coast’s North of the Maroochy River precinct – that’s an 18 percent increase on the corresponding period in 2013 and of these sales, 26 percent sold for more than $700,000. “It’s proof of the positive growth for the Coast’s property market, as sales volumes like this haven’t occurred since 2007. Sekisui House is developing two residential land precincts at The Coolum Residences. Vantage, an exclusive gated community on the side of Mount Coolum, and Beachside which offers the last remaining beachfront land on the Sunshine Coast. New land lots have recently been released in both precincts.